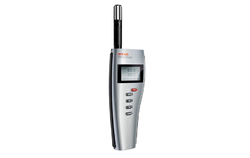 Providing you the best range of hygroclip xd - standard probe, hygropalm handheld indicator, humidity transmitter, humidity and temperature measurement and humidity temperature transmitter with effective & timely delivery. We are offering Versatile HygroClip2 - Standard Probe to our client. on the AirChip and can be retrieved later for audit purposes. Sensor Diagnostics. automatically and a digital alarm triggered on the display. 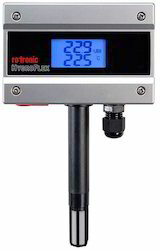 Up to 2,000 measurement values can be stored in the HygroPalm2i or in the HygroClip2 probe used with the HygroPalm22 the user is able to configure the measurement interval, set alarm limits, scale the output signal and download data using the optional ROTRONIC 1-1W4 software. We are an acclaimed name engaged in offering our precious clients a superior quality range of Humidity Temperature Transmitter. 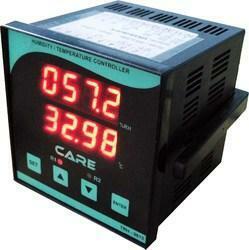 Used for measuring humidity and temperature, our transmitter is manufactured from supreme grade material at par with international standards.